Two large professional groups recently held annual meetings that featured a number of presentations about acupuncture and CAM topics. The American Public Health Association, the oldest and most respected public health group in the U.S., and the Gerontological Society of America, a multidisciplinary group of professionals in the field of aging, are both part of a growing trend that recognizes the importance of integrative approaches to health care. We attended these meetings and want to share and summarize our experience with Acupuncture Today readers, as well as provide links to getting further information. The 139th annual meeting of the American Public Health Association (APHA) was held in Washington DC Oct. 29 – Nov. 2 2011. The theme of the gathering of over 13,000 attendees was "Healthy Communities Promote Healthy Minds and Bodies." More than 1,000 scientific presentations were included and can be accessed through the APHA website. This site offers access to recorded presentations as well as to abstracts and other features of the meeting. Promoting optimal use of social media, the conference offered real-time updates via Facebook, Twitter, and LinkedIn. Former U.S. Senator Tom Daschle, a major proponent of healthcare reform, was one of the keynote speakers. Even after leaving the Senate, Daschle continues to be involved in healthcare policy and management. In his talk, Daschle likened the U.S. healthcare system to a pyramid, with the base consisting of personnel and programs to promote health and wellness. At the tip of the pyramid, are the high-tech, high-cost interventions. He described how most healthcare systems in the world focus on the base, while in the U.S. system focuses on the tip. Daschle urged the audience to "seize the moment" and re-focus this off-balance, unworkable approach and dedicate our efforts toward optimizing health and well-being. Within APHA, one of the membership categories is called the Alternative and Complementary Health Practices (ACHP) group, which has become home-base for acupuncturists and other practitioners of Asian medicine as well as for researchers and practitioners who study yoga, botanical medicine, Ayurvedic practice, and all types of mind-body approaches. ACHP programming included over two days of poster and oral presentations on the spectrum of research, policy, and practice. Of special interest to practitioners of Asian medicine were presentations on acupuncture, acupressure, herbal medicine, movement, and issues of international practice. Carla Wilson, of the American College of Traditional Chinese Medicine, presented a poster entitled "Opinions of practitioners of TCM and Acupuncture on the Emergence of Integrated Medicine." A review of herbal medicine entitled "Common herbs in TCM and Ayurvedic medicine" was presented by Sivarama Prasad Vinjamury. Beth Sommers reported on the results of a clinical trial using acupressure to facilitate narcotic withdrawal in newborns ("Acupressure augmentation of standard medical management in the treatment of neonatal abstinence syndrome"). A presentation on qi gong ("Effect of learning Yan Xin qi gong on modifying diet behavior and weight loss") was provided by Chunling Lu. Two presenters addressed issues related to using acupuncture for individuals living with HIV/AIDS. Biru Yang presented a poster entitled "Use of acupuncture and Chinese medicine for HIV-infected persons: Mind and body medicine" - her work is based in Houston, Texas. Jason Jaggers of the University of South Carolina discussed "Effects of acupuncture on psychological stress and viral load in African-Americans living with HIV/AIDS." More information on all of these presentations can be accessed through the link mentioned above. Next year's conference, themed "Prevention and Wellness Across the Life Span" will be held in San Francisco from Oct. 27 – 31, 2012. More information about the upcoming conference, as well as links to propose abstracts for presentation is available at www.apha.org. The 64th annual scientific meeting of the Gerontological Society of America (GSA) exceeded previous attendance records with over 4,000 participants. The multidisciplinary attendees included gerontologists, geriatric physicians, psychologists, immunologists, social scientists, social workers, long-term care administrators and many other providers interested in the field of aging. GSA President Donald Ingram kicked off the meeting with a call to action, stating, "We are the field of aging. Even as GSA does its part to advance innovation in aging, we as individuals have to speak up to safeguard support for the work that we do." Provider-Administered CAM Therapy: Chiropractic, Acupuncture & Massage Use Among Older Americans (Porter, et al.) 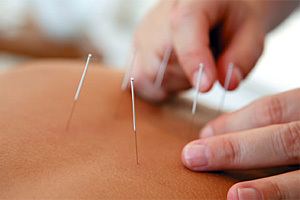 analyzed records of 2,554 adults age 55 and older who used chiropractic, acupuncture and massage. Findings reported ethnic and racial disparities in use with musculoskeletal/pain as the top symptom for all three modalities. Contrary to other research, very good or excellent health was the strongest predictor of use suggesting that older adults have a high awareness of the preventative benefits of CAM. The Use of Complementary Therapies to Enhance Patient Satisfaction (Kresevic) which evaluated a "CAM Center of Excellence" that was developed at the Cleveland, Virginia Geriatric Research, Education and Clinic Center. The program trained 346 health care professionals about CAM; 97.9 percent of the providers found it to be helpful in providing resources to patients. The Center also set up "comfort carts" in inpatient wards that were stocked with DVD players and DVDs on guided imagery on stress and pain relief, books and magazines on holistic self care, and healthy snacks. Complementary and Alternative Therapies for Urinary Symptoms in a Diverse Qualitative Sample (Welch et al.) reported on 151 respondents with urinary symptoms. One quarter reported using "complementary treatments," which this study defined as any non-prescribed treatment and ranged from cranberry juice to maize silk and cat's claw. Use of Complementary/Alternative Therapies in Community Older Women with Arthritis (Cheung) used focus groups with 27 women ages 65-93. Themes included the importance of pain management, use of nutritional supplements, and plant-based ointments. Cost was the largest barrier, although education about CAM was limited among the women and most did not discuss their use with their physician. Use of Complementary/Alternative Therapies for Arthritis Among Older Women of Urban, Suburban and Rural Communities (Cheung & Geisler) reported findings from focus groups of 55 women age 66-101 who use CAM for arthritis. Findings included: nutritional supplements were most widely used; rural participants had the broadest range of therapies used; "failure of conventional medicine" and "convenience" were cited as reasons for use. Use of Complementary & Alternative Medicine for Arthritis by Older Women (Tait et al.) analyzed data from the 2007 National Health Interview Survey. Of women age 50 and older, 21 million had arthritis, and of those, over one million used CAM to treat this condition. The two most common reasons for use were "that conventional medicine did not help" or "it was recommended by a health care provider." Next year's conference, "Charting New Frontiers in Aging," will be held in San Diego from November 14 - 18, 2012. More information about the upcoming conference, as well as links to propose abstracts for presentation is available at www.geron.org. Both conferences demonstrated that the value of multidisciplinary collaborations continues to be strong in all CAM approaches. Identifying our partners and designing effective teams to implement integrative care is a national priority as part of health care reform. Promoting public health and well-being is truly a task that "takes a village."